Thursday, February 21 at 6-7 p.m.
We teamed up with the Lehi Cabela's to offer a free late-season ice fishing seminar. 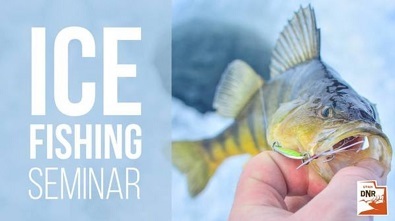 Attend and learn proper ice safety and the best ice fishing equipment options. You'll also hear insight from Cabela's Pro Staff experts on successful tips, tricks and techniques used to successfully target different fish species. Perch will be a key species discussed in order to help prepare folks for the upcoming Fish Lake Perch Tournament on Feb. 23, 2019. Questions? Call Mike at 385-225-1322. Spots are limited, so register for this event now.